Note: If ordering a FlatCat™ pickup, please see the end of this article for information. 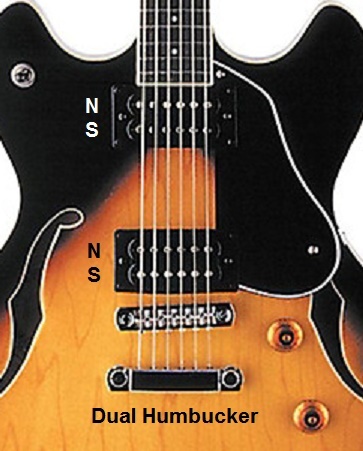 POLARITY: The facing of the magnet, either "north up" (toward the strings) or "south up". PHASE: The direction of the current-- which wire is + or --, "hot" or "ground". 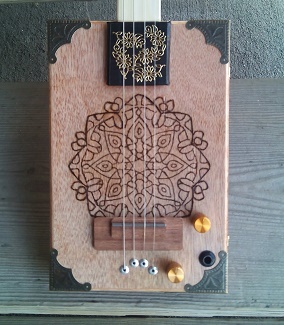 If you're just using one pickup on an instrument, you usually do not have to worry about polarity or phase. But if you're using 2 or 3 pickups in close proximity to one another, how those pickups are built can be very important to how they will work together. Some pickups are compatible; some are not. If you've ever experienced hum you just can't seem to get rid of, or weak, tinny sound... it is possible your pickups are out of polarity/phase with one another. Out of phase means the pickup wires are hooked up backwards in the guitar. Intentionally done and balanced, this can provide a pleasantly different tone on your guitar. Done unintentionally, it can result in severe loss of volume and tone. While different guitar companies will have charts regarding pickups, there is no universal color coding for pickup wires; it sometimes is necessary to check it yourself. The rule of thumb is this: If you hook a pickup to your volume control and it sounds weak or tinny, reverse the wires. A functional pickup should sound vibrant and not at all weak. 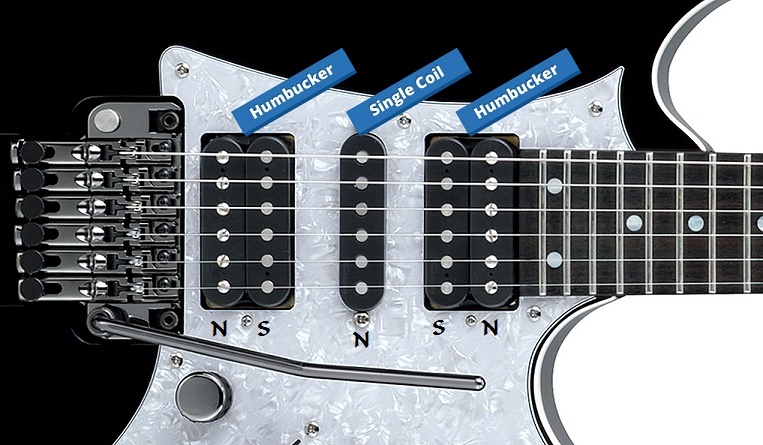 If you're using a humbucker (2 coils) you may have either 2 or 4 wires coming from the pickup, depending on the model. In the case of 4 wires, there will be two pairs. In such case you will need to check the wires for continuity to see which of the four wires is paired together. Time saver: on many 4-wire pickups the ground wires are already soldered together. COMPATIBILITY. 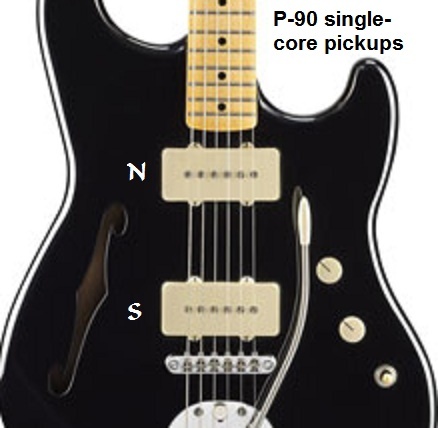 Generally speaking*, if you have two single pickups, you want one to be North, phase positive and the other one to be South, phase negative (ie, wound the opposite direction of the first pickup). This is what you call a matched pair, which is important for not only hum and noise cancellation but also for volume and tone. If you have a mismatched pair, you can wind up with either hum or a weak, tinny-sounding signal. This being the case, it is possible for two pickups to be mismatched... incompatible. This means they are either both north, both south, or are wound the same direction. You will need a compass or a bar magnet. Set the compass sideways on top of the pickup and see whether the north or south pointer of the compass points away from the pickup. Opposites attract; a north polarity pickup will attract the south pole of a compass, repelling the north pole and causing it to point away from the pickup. So if the north points away from the pickup, it's a north polarity pickup. If the south points away it is a south polarity pickup. The polarity of the pickup is indicated by the side of the compass needle pointing away from the pickup. You can use a bar magnet as well. See whether the north end or south end of the bar magnet is repelled by the pickup. Same concept. The end which pushes away from the pickup indicates the polarity of the pickup. 2) If there are 4 or more wires it will reveal which wire pairs match one another. Using a multimeter, touch the meter leads to two wires and see if you get current flow. If you do, those are paired. You will need a digital multi-meter that is capable of testing very low DC or AC voltage (either will work). Most multi-meters can do this, even inexpensive ones. To determine the phase, connect your two meter leads to a wire pair. Now take a screwdriver or large nail and slowly move it toward the surface of the pickup. You will see a jump in the voltage reading, and that jump will either be positive or negative. If it is positive, you have the red and black leads on the correct wires. If it is negative, you have them reversed. Switch them and try again for verification. When you remove the screwdriver from the pickup you will see another voltage spike, just the opposite of the first one. So if you got a positive reading when laying on, you will get a negative reading when pulling away, and vice versa. That is how you test for phase. When you get a positive-then-negative reaction, whichever wire the red lead is connected to will be the hot / positive wire and the other wire is ground / negative. To get ideal sound you want your pickups hooked up backward to one another. 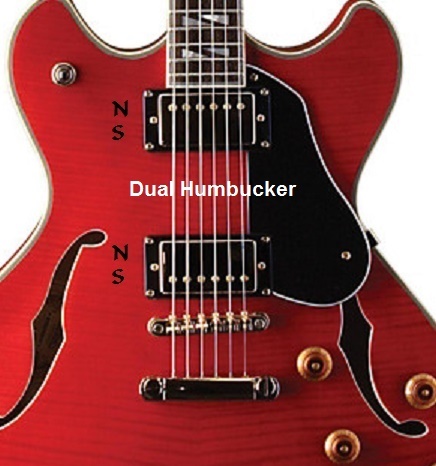 If both pickups are wound the same direction or the magnets facing the same direction, you can get hum. For pickups to be matched, you want the magnets to face opposite directions and the coils to be wound opposite (or in short, you want opposite polarity and phase). Note: if the magnets are 2 inches or more away from one another you likely will not need to worry about polarity; they are outside one another's magnetic field. You will still need to consider phase. If you buy a set of pickups and one says "neck" and the other says "bridge"... that has already been taken into consideration. If you take two neck pickups and put them together or two bridge pickups together, you are likely going to have out-of-phase (incompatible) pickups-- unless of course that's the sound you're going for. What makes things more confusing is that different brands of pickups and even different years within the same brand can be incompatible. For example, early Fender neck pickups had north polarity, but then later changed to south polarity. 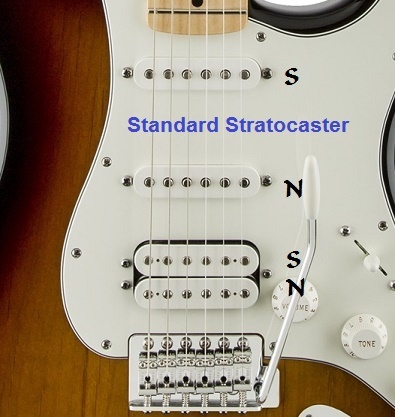 So to replace pickups on a Strat you need to either test for polarity and phase on the existing pickups-- or switch out all three with an already-matched set. HOW CAN I TELL IF MY PHASE IS RIGHT? It's easy to check polarity, as shown above. 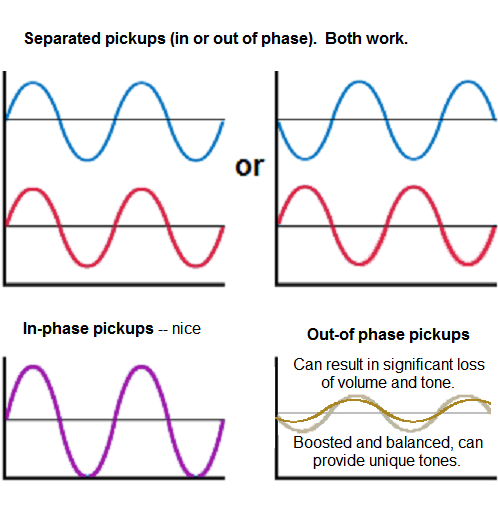 If you hook up a pickup and it sounds weak or tinny, it may be a phase issue. Try reversing the wires. Some guitars have phase switches which can automatically change the phase for you. They are also often used to intentionally change the sound of a guitar. FlatCat™ pickups come north-polarity toward the neck, positve phase unless otherwise requested. If you need south-polarity, as with most humbuckers simply turn the FlatCat 180 degrees (with the numbers on the back away from the neck). If the FlatCat will be 2 inches or more away from existing pickups they will likely work fine, without further testing. But if combined with other pickups in close proximity, testing your guitar for polarity and phase compatibility is a good idea. To test the FlatCat for phase-- hook the indicated ground wire to the ground of your volume control and the hot wire to the hot pin. If it doesn't sound right (weak or tinny sound) your instrument may require negtive phase. Just reverse the FlatCat wire placement on the pot. If you still experince weak sound, look to other areas of the guitar for problem issues (weak pot, poor grounding, bad solder joint, phase/polarity issues in other pickups, bad jack or guitar cord, etc). These photos are just for general reference. As indicated above, your guitar may be different. It is easy to check polarity with a compass or magnet.